Where would The Lone Ranger be without his trusted companion, Tonto? 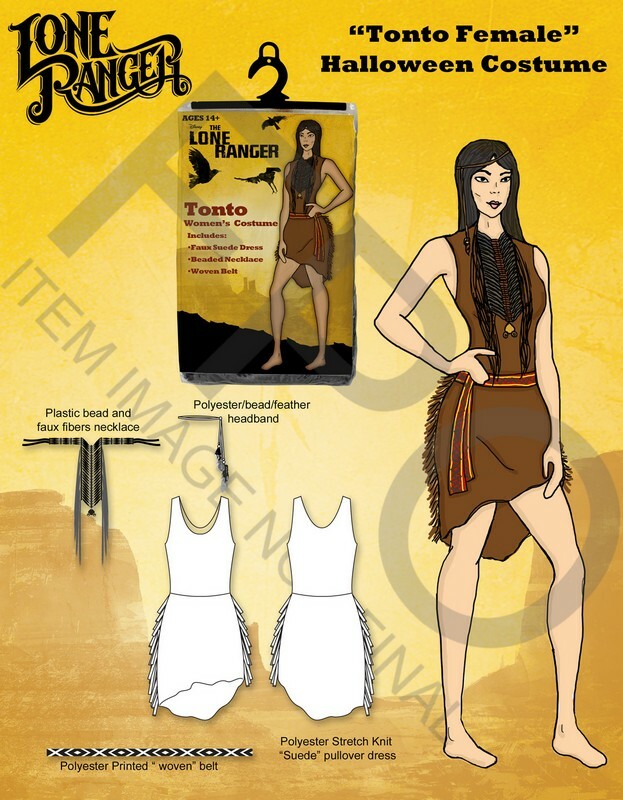 You can be a spirit warrior, too, with this tantalizing women’s Tonto costume. Includes fringed faux suede dress, printed fabric necklace, woven tie belt, and feather headband. Stretch polyester is comfortable and machine washable.